This Lastolite Ezybox Quadra Speed Ring Adapter allows the Ezybox Hotshoe, Hotrod Strip, and Hotrod Octa softboxes to be mounted to the Elinchrom Quadra flash head. The speed ring fits onto the adapter ring for the Hotrod Strip and Octa softboxes and directly into the back of the Ezybox Hotshoe softbox. Box Dimensions (LxWxH) 7.5 x 6.7 x 0.9"
Ezybox Quadra Speed Ring Adapter is rated 4.7 out of 5 by 6. Rated 5 out of 5 by Earle from Perfect for what it says.... A long-awaited product. Though I found it fit flawlessly into the 12-inch beauty dish mounting gear -- designed for speedlight adapters. By design it fits everywhere it the Lastolite lollipop speedlight mounting gear does as well. The Mola adapter is a touch smaller. I actually own three of these, sadly the first two don't have a hole for the Elinchrom deflector -- but the third one does, so clearly Lastolite heard some concerns and responded quickly. (Five stars is for the newest version). Rated 4 out of 5 by Heather from Nice Kit One of very few Quadra speed rings out there. Fits many manufacture's speed ring outer ring mechanics - not just Lastolite (which I don't use). Well made and nice for DiY'ing various Quadra head custom solutions. It is somewhat overpriced given very basic nature. Rated 5 out of 5 by Jeremy from Works great! Another 5 star design from lastolite. It fits snuggly on my quadra head. It attaches well to the ezbox 24x24 softbox and is in line with the build quality that both lastolite and elinchrom are known for. Rated 4 out of 5 by Gmooney from Fantastic! Does exactly what it says it will. Very tight fit to Elinchrom head. And if you take off about 1/8 all the way around it fits nicely into any speedlight adapter! Rated 5 out of 5 by Clicker_4u from Inexpensive lighting modifier accessory Worked very well right out of the box, attached easily to Elinchrom jQuadra head and straight on to the Lastolite EZbox. Rated 5 out of 5 by ak-pics from Good! Good! Will this fit the Mola Demi 22 beauty dish? Unfortunately, this adapter will not fit a Mola Demi 22 Beauty Dish. Can I get the exact outside diameter of this ring? I would like to be able to use it as a Quadra insert with some of my existing speedring/striplights...? Hi Steve, I just checked my adapter. 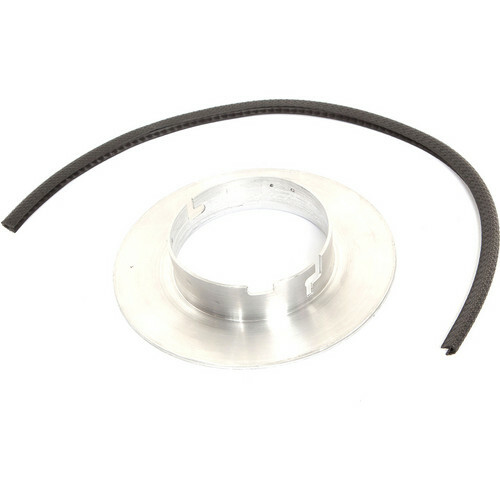 The outer diameter is 5-3/4 bare or 6 with the black plasticky ring. I hope that helps.